There are 19 Memory Care Facilities in the South Barrington area, with 1 in South Barrington and 18 nearby. The average cost of memory care in South Barrington is $8,000 per month. This is higher than the national median of $4,650. Cheaper nearby regions include Hoffman Estates with an average starting cost of $3,860. To help you with your search, browse the 14 reviews below for memory care facilities in South Barrington. On average, consumers rate memory care in South Barrington 4.0 out of 5 stars. Better rated regions include Lake Zurich with an average rating of 4.5 out of 5 stars. Caring.com has helped thousands of families find high-quality senior care. To speak with one of our Family Advisors about memory care options and costs in South Barrington, call (855) 863-8283. The village of Barrington is located in Cook and Lake Counties in Illinois and has a population of 10,300 people, 21 percent of whom are seniors 65 and older. It's estimated that 11.2 percent of seniors receiving Medicaid have Alzheimer's or another form of dementia. Barrington seniors looking for a local memory care facility have four to choose from, with 39 more within a 15-mile radius of the village. 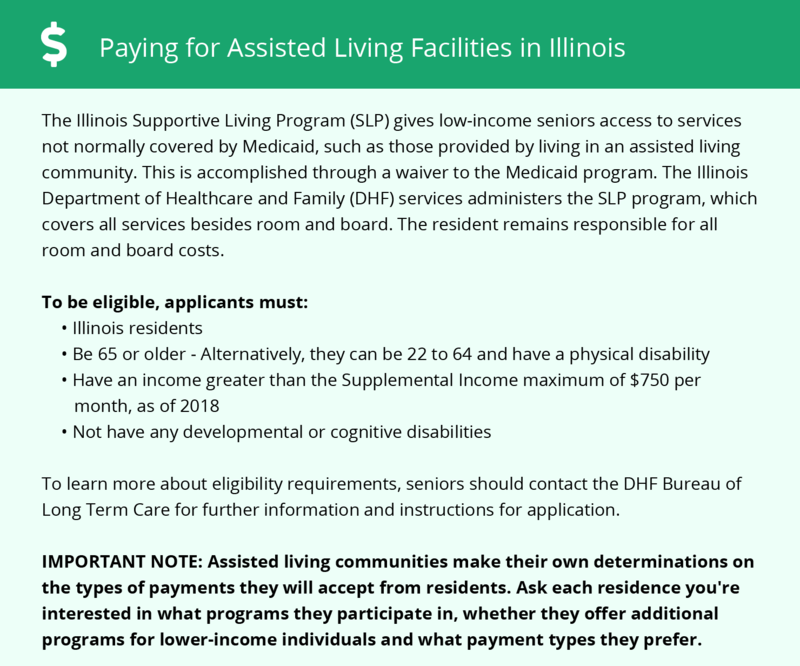 The Illinois Department of Public Health regulates assisted living and memory care facilities in the state, including those in Barrington. These communities may be housed in their own properties or, more commonly, co-located with assisted living facilities. Barrington's score of 149 puts its cost of living well above the state and national averages. The village's housing cost is 224 percent as high as the national average. This can impact operational costs at memory care facilities, which may result in higher monthly fees. The village receives 37 inches of rain, which is somewhat lower than the national average of 39. However, the city receives 37 inches of snow, 11 inches higher than the national average of 26 inches. This can make it difficult for visiting family members to get back and forth to Barrington's memory care facilities. In addition, winter lows reach a chilly 14 degrees here, while summer highs reach the 80s. The air quality in Barrington is 69, 10 points higher than the national average. This could be welcome news to families of seniors with respiratory issues such as COPD. Illinois exempts nearly all retirement income from taxation, including Social Security, pension income and retirement savings accounts. This is helpful for Barrington seniors living on a fixed budget. Memory Care costs in South Barrington start around $8,000 per month on average, while the nationwide average cost of memory care is $4,800 per month. It’s important to note that memory care rates in South Barrington and the surrounding suburbs can vary widely based on factors such as location, the level of care needed, apartment size and the types of amenities offered at each community. South Barrington and the surrounding area are home to numerous government agencies and non-profit organizations offering help for seniors searching for or currently residing in an assisted living community. These organizations can also provide assistance in a number of other eldercare services such as geriatric care management, elder law advice, estate planning, finding home care and health and wellness programs. To see a list of free memory care resources in South Barrington, please visit our Assisted Living in Illinois page. South Barrington-area assisted living communities must adhere to the comprehensive set of state laws and regulations that all assisted living communities in Illinois are required to follow. Visit our Memory Care in Illinois page for more information about these laws.